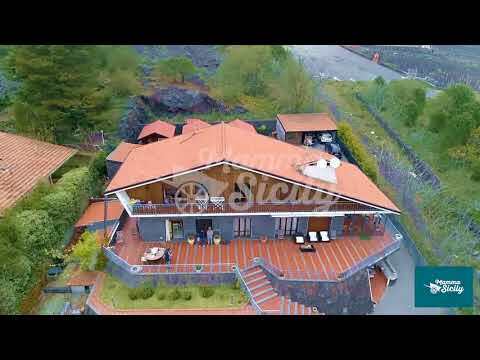 Gorgeous Sicily villa is located in Nicolosi, the most renowned and beautiful town on the southern slope of Etna park. From all the sides of the property you can enjoy a stunning panorama of the Ionian coast. The outdoor has a great pool area, a well-maintained garden, a playground and a tennis court. Inside, the house has a wonderful double bedrooms with ensuite bathroom, a twin with private bathroom, a familiar (a double bed plus another double bed ) with ensuite. On the first level, in addition to the kitchen, you can enjoy a spacious and bright saloon and a glass-window dining room, both with an unforgettable view of the ocean. Facing the living room there is a beautiful area with a green lawn where there are three chalets with double bedrooms with ensuite. The house is fully equipped, with wi-fi, BBQ area, dishwasher, washing machine, AC in each room, sat tv. Siracusa 60km's(Unesco’s), and its Greek masterpieces. Of course, we suggest you to enjoy our Silvana's Cooking Class,(6km's)just few kilometers away from the villa. Nicolosi (photo, 2 km's away) a very nice Etna village, has always called “the door of Etna”, since from here begins the Marenevefuoco (SP92), the wonderful road that leads up to 2000 meters a.s.l., the highest point that one can reach with a vehicle and from where it is possible to climb up to the top of the volcano (by walk or by cable). Among others, I suggest you the visit of the Montirossi crater, who determined, in 1669 the lava flow that reach and destroyed Catania! Etna Park (photo, Unesco’s), with its inactiv volcanos (the sons of Etna), caves, forests, lava grounds … lasts 10 km’s. 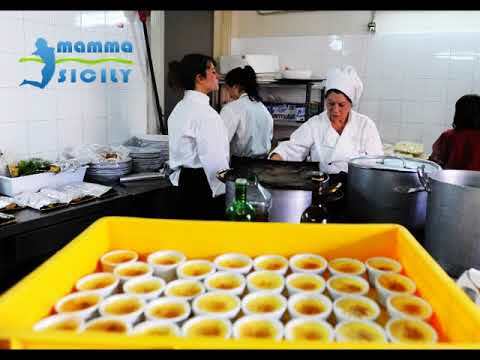 My tip is to enjoy the Mamma's Etna tour, the most requested in Sicily. Catania (photo via Etnea) is 15 km's away. I suggest you to park the car in Piazza Alcalà than have a walk: let's start from the worldwide famous Pescheria (outdoor fish market), then to Piazza Duomo (the hearth of Catania) and from it take the Via Etnea, the main street of the town, a pedestrian walking full of shops, cafe and wonderful buldings in Baroque style. Let's walk for about a kilometer, visiting the Roman amphitheatre (in Piazza Stesicoro) until arrive to the Villa Bellini (Catania's public garden). The Playa (beach) lasts 10 km’s and is close by Piazza Duomo. In this area there are many lido (private beaches where you can rent umbrellas, deckchairs, have a meal in a cafe ...) and I suggest you to enjoy the Lido Verde, partner of MammaSicily. Other places worth a visit are Acitrezza and Acicastello (5 km’s), both fishermen hamlets, where lava flow of millenia ago has modelled the landscape: in Acicastello you can find a stunning castle in lava stone overhanging the sea and in Acitrezza the Faraglioni (sea stacks). Taormina (photo), the pearl of Sicily, is almost 30 km’s away: it’s a magic place with the amazing Isolabella and its narrow streets rich in history, a sort of vintage atmosphere and fashion: cool! 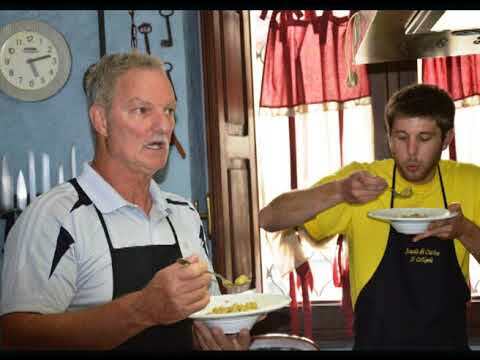 Of course, we suggest you to enjoy our Silvana's Cooking Class,(photo) just few kilometers away from the villa. Please request a quote, based on the number of people present. The property can accommodate up to 18 people.